a monthly women's breakfast series to elevate women’s voices. In February, we started hosting Future of Women breakfasts in Los Angeles, beginning with a conversation about Diversity in Film. In March, we talked about Human Rights, Journalism, and Geopolitics, in April we spoke about Food Entrepreneurship, and in May we hosted two breakfasts - an LA breakfast on Music and Activism and a Mexico City breakfast on Art + The City. 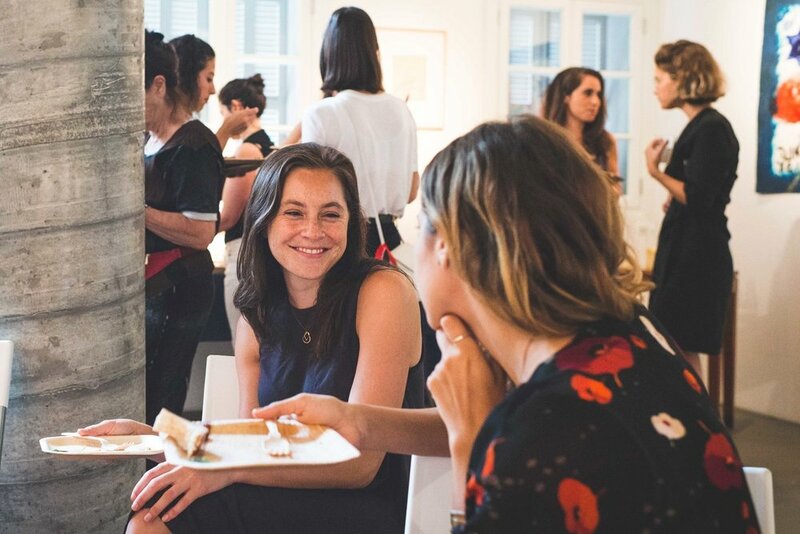 In June, we talked about Women and Sports, and in July, we traveled to Tel Aviv to host a breakfast at The Givon Art Forum with Israeli Chef Reut Arbiv. A special thank you to Chef Reut, our host Noemi Givon, and our speakers who welcomed us into their worlds of storytelling through food, fashion, politics, and virtual reality! 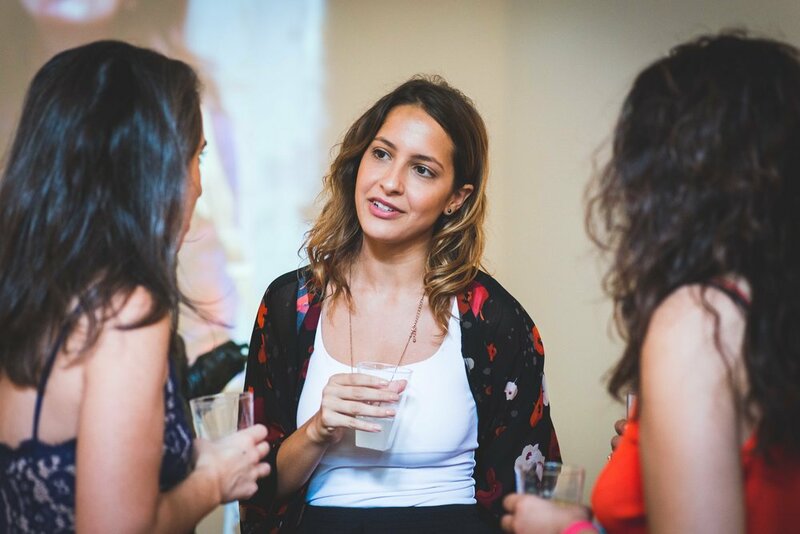 Last month, women from across Tel Aviv and from a range of industries - from fashion to journalism to design to public policy to culinary arts - joined us for delicious food and conversation! We welcomed four incredible speakers to share how they are telling important stories in food, fashion, politics, and virtual reality. 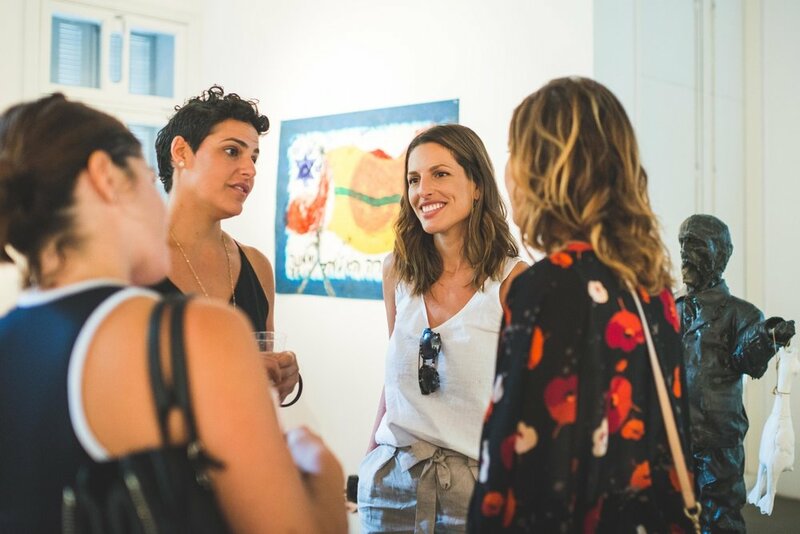 We gathered at The Givon Art Forum, a new initiative in the Neve Tzedek neighborhood of Tel Aviv that seeks to address a perceived gap between the activities of today’s private gallery and the museum. Events and exhibitions in this space explore a range of propositions and views — be they those of the artist or the curator —signaling new directions and forging new understandings. A special thank you to Noemi Givon for generously welcoming us into her space. We enjoyed dishes by Chef Reut Arbiv, creator of Food Salon (סלון אוכל). After years spent amongst restaurateurs and culinary delights, Reut and her partner Shani decided to express their love for hospitality, food, and wine in a more intimate and unique way. Their food style connects two worlds - the past, the simplicity, the memories, the nostalgia, the romance, and takes what nature gave to innovation, technique, creativity, and imagination when the material is in the hands of the creator. Today, they host meals in their home in Ness Ziona and in the homes of people in Israel and abroad. Food Salon prepared a delicious breakfast, including sourdough bread with hazelnuts, olives and butter, tomatoes tapenade, basil and parmesan pesto, Israeli cheeses from boutique dairies, mini sandwiches with smoked salmon and cheese crème, grilled seasonal vegetables with olive oil and fresh herbs, wild mushroom quiche and sweet potato and almonds quiche, pasta salad with roasted peppers, tomatoes, baby mozzarella cheese and basil, Mediterranean salad, feta cheese, cucumbers, tomatoes, red onion, lettuce and olive oil vinaigrette, green salad with gorgonzola cheese, whole nuts and citrus vinaigrette, tarte tat'in, chocolate truffles, and mascarpone crème with berries coulis and almond daquas..
Yael Wissner-Levy spoke about storytelling in politics and how that has segued into leading communications at a tech company. Yael is the Head of Content and Communications for Lemonade, a fast growing, VC-backed, full-stack insurance company powered by artificial intelligence and behavioral economics, and driven by social good. Previously, Yael was a speechwriter and communications consultant for political and business leaders, having written for heads of state, CEOs of multibillion dollar corporations, and non-governmental organizations. Prior to that she worked as a journalist in various Israeli media outlets, including Ha'aretz (newspaper and website), Channel 10 News (television), and i24 News (television), and served as Channel 10's correspondent to the UK. Yael also worked with former Congressman Steve Israel (NY, Dem) in DC. She holds a MSc from the London School of Economics. Sharon Ezra described about how she uses fashion to empower people to express their own narratives, most recently through her creation of a gender neutral fashion line. Sharon was born in Israel and since childhood has been passionate about Italian fashion and design. Seven years ago, after graduating her B.A Fashion design studies at Shenkar, she moved to Milan with a dream to learn from the best fashion making industry of the world. She was rejected by fifty leading designer houses in Italy, but was not deterred. She entered through the back door, sewing buttons and zippers working for a remote Italian supplier. Now the head of several fashion companies, she describes how starting at the ‘button’ paved her way to success. She recently gave a TEDx talk called Buttons Up about this journey. She was selected as Forbes 30 under 30 list of Israel in 2016, Founded D4D, an artisan database for designers and manufacturers, founded Quattrocento, a hand-crafted-in-Italy eyewear brand, and co-founded Wilde Vertigga, a contemporary gender neutral fashion line. Roni Kashmin told us about how she explores Israeli culture through conversations about food. She is a Food Writer at Haaretz. Read her work here! Daniella Segal spoke about storytelling in augmented and virtual reality. Daniella was a Partner at Tencent Exploration Team that invests in startup companies building core and novel technologies to help improve people's lives and ecosystems. Previously, she was the Head of Experiences at Meta, the first augmented reality headset that allowed wearers to move and manipulate 3D content intuitively, using natural hand interactions. In her capacity, she managed Meta's experience design and brand partnerships, oversees the strategy and worked with leading companies and institutions such as the World Economic Forum, TED, Sundance Institute and General Assembly among others. She completed the Graduate Studies Program at Singularity University where she founded a health-tech company and was listed on the Forbes 30 under 30 list in Technology. Future of Women founder, Hallie Applebaum, moderated the conversation. Special thanks to Reut Arbiv of Food Salon for a delicious breakfast, to our talented speakers Yael Wissner-Levy, Sharon Ezra, Roni Kashmin, and Daniella Segal, to Givon Art Forum and Noemi Givon for welcoming us into her Neve Tzedek Tel Aviv gallery and home, to Sarah Peguine, Noa Shikler, Laura Katz, and Tal Tochner for lending a helping hand with planning, and to Neta Cones for these beautiful photographs.